Advances in Engineering & Applied Science (AEAS) specializes in the rapid publication of proceedings of international conferences, workshops and symposia as well as state-of-the-art volumes on topics of current interest in all science and engineering disciplines, all advanced scientific disciplines, newer research areas such as biotechnology, environmental biotechnology, plastics, composite research, nanotechnology, etc. 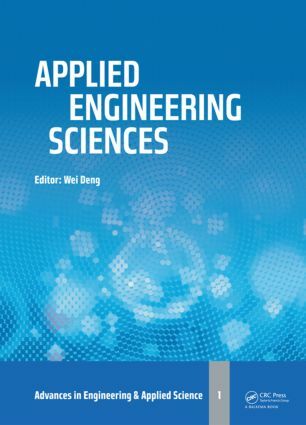 Advances in Engineering & Applied Science (AEAS) aims to publish only quality research papers, which are peer reviewed by a panel of reviewers; the series also aims to reduce the review time considerably by adopting various measures. Advances in Engineering & Applied Science (AEAS) aims to cover the scientific research in a broader sense and not just publishing a niche area of research facilitating researchers from various verticals to publish their papers. Pure and applied sciences including biology, zoology, genetics, fishery and other areas. Areas related to computers and communication. Scientific research related to applied medical sciences.